With an excellent blend of comfort, quality, and great fuel consumption, the Toyota Avalon returns for 2019 with a whole new design. Ahead of the curve, for years to come. When thrilling design meets cutting edge technology, the new generation of premium is born. All new, inside and out. The 2019 Avalon paves the way to a new standard of premium. Overall, the 2019 Toyota Avalon is an exceptional choice for a large-sized sedan. If you think this is the right vehicle for you, let Collingwood Toyota know and we’ll get you behind the wheel as soon as possible! Toyota believes that no matter the destination, everyone deserves to arrive safely. 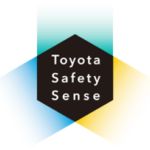 Toyota Safety Sense (TSS) offers an advanced suite of safety features standard on virtually all models. The Avalon is equipped with TSS-P which comes with features like automatic high beams, lane departure alert, pre-collision system with pedestrian detection, and dynamic radar cruise control. Toyota Safety Sense, just another way Toyota is helping to make safer roads for us all. To watch some informational video on these safety features click here. Consider adding Toyota accessories to really make your ride one of a kind! Contact our Parts department for more information on accessories. 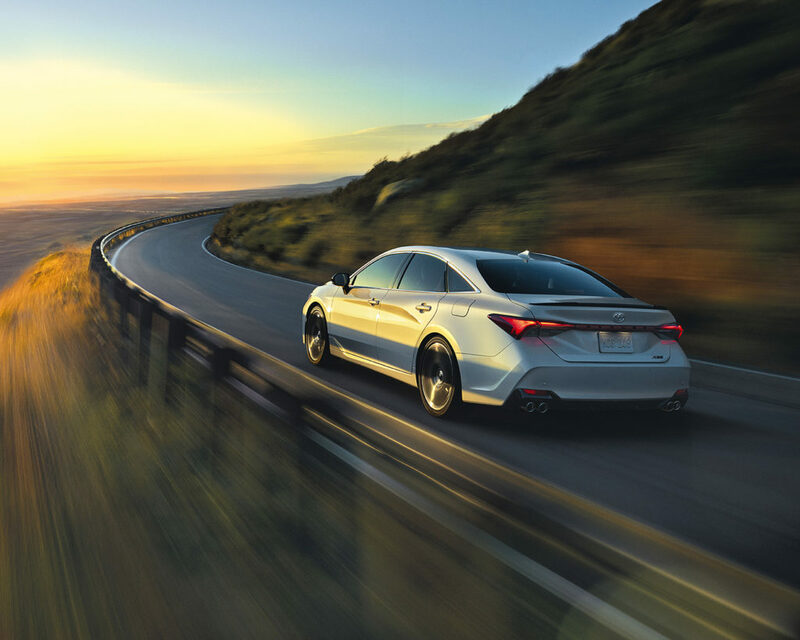 The 2019 Avalon comes standard with the 3.5-litre V6 which generates a horsepower of 301-hp and a torque of 267 lb-ft. Its tuned suspension system and 6-speed transmission allows the Avalon to transition gears with ease for a more smooth drive. The Avalon also manages to return a surprising fuel economy of 10.9L/100km in the city and 7.6L/100km on the highway. Packed with more standard technology and luxury items inside than ever before, the 2019 Avalon is bound to please both drivers and passengers inside. Enjoy niceties like its premium leather upholstery, power moonroof, heated steering wheel, Apple CarPlay, 8-way power adjustable driver seat, and a 9-inch touchscreen with integrated Bluetooth technology, and even voice-activated navigation. It also includes a Qi-compatible wireless charging pad for your smartphone to free you from tangling cords. Make your Avalon truly your own by adding genuine Toyota parts and accessories such as body side mouldings for some visual flair, or Pro Series Paint Protection Film for some added practicality. Collingwood Toyota’s Parts Department offers a huge assortment of accessories at reasonable prices for you to consider. Plus you can even Order Your Parts online.